I personally use this set (and bought it for full price like a sucker). 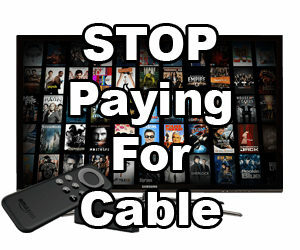 Chips have a nice weight with ceramic plated metal, not cheap plastic. Case is solid and travels well. 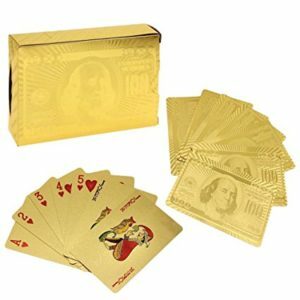 Cards are crap, but who cares when you can get gold plated ones for under $5?! Ante up for a fabulous night of casino-style poker! This portable set features 300 high-quality 11.5-gram casino chips in five different colors. The set also includes one deck of playing cards, a dealer button, 2 Betting buttons all housed in a sleek aluminum carrying case. 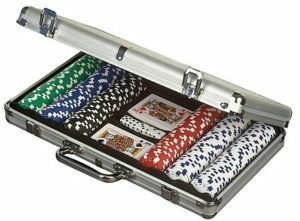 You’ll always be ready for a tournament with the 300 Piece Poker Set with carrying case. Or you can just play like a boss with a revolving poker chip rack for $8.63! 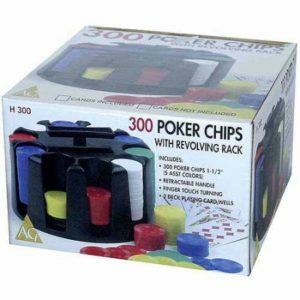 It’s time to ante up with this versatile 300 Poker Chips with Revolving Rack set. 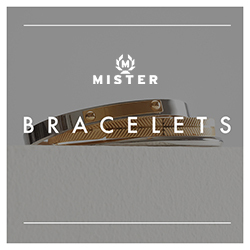 Enjoy an evening with your friends as you raise the stakes in a competitive game. The easy-to-store rack on the poker chips set comes equipped with 300 lightweight plastic chips in five different colors.